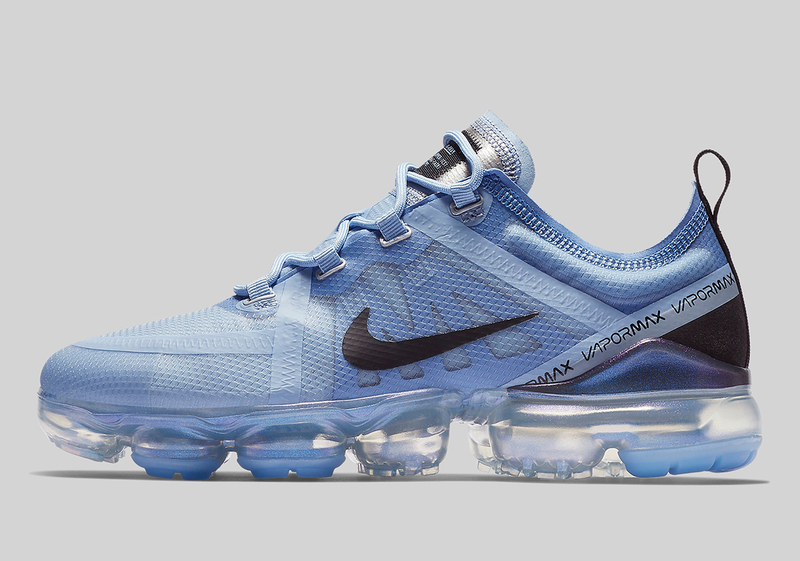 Home>Sneakers> Women To Get Nike Vapormax 2019 Version In "Aluminum Blue"
When it comes to the Nike Vapormax, there are still people who are split on it. Aesthetically it's a weird shoe. The entire outsole and midsole is made up of air bubbles and looks straight up weird when you first look at it. When Travis Scott debuted the shoe in the "Midnight Blue" colorway back in 2017, some hated the look while others loved it. Once people realized just how comfortable the shoe is, sneakerheads finally came around and ended up giving the shoe a much-needed chance. Since then, Nike has released multiple versions of the shoe, as well as some pretty incredible colorways. With this latest colorway of the Nike Vapormax 2019 model, the brand is making something for the ladies. The upper is all-over "Aluminum Blue" making for a super clean look overall. There are some black accents throughout, including on the Nike swoosh. Meanwhile, the air pods on the bottom are clear, with some of them dressed in the "aluminum blue" found on the upper. It's a pretty sleek shoe and would look great at the gym. As reported by Sneaker News, there is no release date associated with these kicks just yet, but they will be retailing for $190 USD. SNEAKERS Women To Get Nike Vapormax 2019 Version In "Aluminum Blue"